While the British were evacuating Fort York another British force under General Procter was attacking Fort Meigs on the western Detroit frontier. Procter launched his attack from his base at Amherstburg. An American relief column led by General Clay attacked the British position at Maumee Falls on May 5, 1813. Major Chambers (41st Regiment), followed by Lt. LeBreton of The Royal Newfoundland Regiment led a bayonet assault to recapture a British artillery position which had been taken by the advancing Americans. The Americans were soon in full retreat back to the safety of Fort Meigs. Only 150 of the 800 Americans who attacked were able to cross the Maumee River to safety on the south bank. General Procter wrote 'besides by obligation to Captain Chambers, I have to notice his gallant conduct in attacking the enemy near the batteries, on which he was well supported by Lt LeBreton of the Royal Newfoundland Regiment - Lieutenant LeBreton by his unswerving exertion rendered essential service. The Royal Artillery were well assisted by the Royal Newfoundland Regiment as additional gunners under Lieut Garden to Captain Mockler of the Royal Newfoundland Regiment, who acted as my aide-de-camp, I am much indebted for the assistance he afforded me'. The battle was marred by a slaughter of some American prisoners by Indians fighting on the British side. Some British officers attempted to save the prisoners, to no avail. In the end, Procter had to abandon the seige of the fort due to lack of seige guns and departing Canadian militia anxious to return home to their crops. 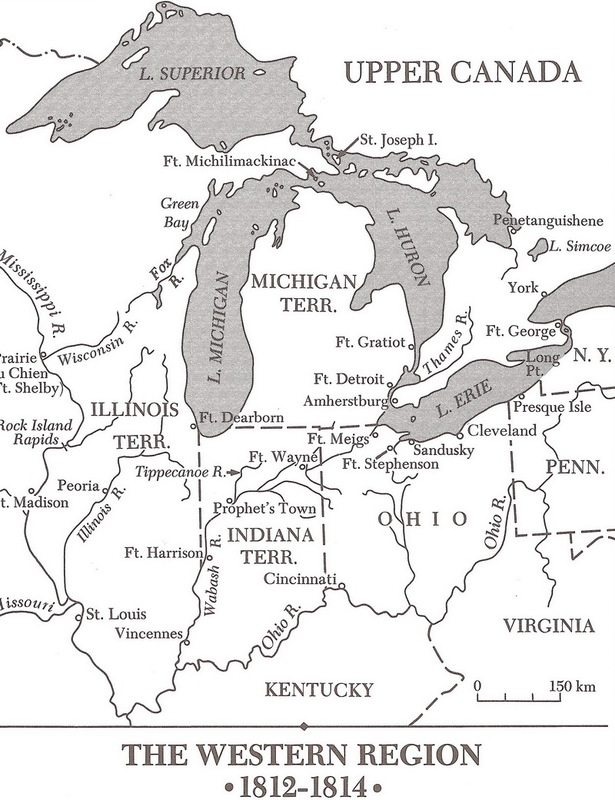 The end result forced the Americans to delay their intended early invasion of Ontario through Detroit and Amherstburg. The near-seige of Fort Meigs is also known as 'Maumee'.